Kirk Poje, a founding partner of Lindsay Kenney LLP, is an Associate Counsel in the firm’s Langley office. Mr. Poje’s main practice areas are commercial lending, corporate commercial law, environmental law, and real estate law. His practice focuses on mid-size independent entrepreneurial businesses. Mr. Poje acts for a number of national financial institutions and private lenders in loan security matters, and helps clients raise financing through private placement and public offerings. He represents construction and manufacturing companies, real estate developers and agencies, trucking and transportation firms, golf courses, insurance agencies, and hospitality businesses. 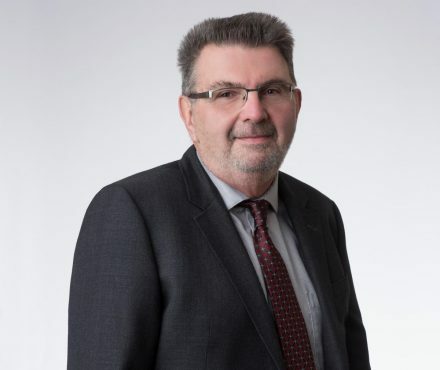 Mr. Poje has deep experience in all business relationship structures, including franchising, distribution, joint ventures, limited partnerships and corporations. Born and raised in British Columbia, Mr. Poje obtained a Bachelor of Arts in 1973 from the University of Victoria, and a Bachelor of Laws in 1977 from the University of British Columbia. He was admitted to the British Columbia Bar in 1978.